When I walked through the door of the Cameo Hotel I didn’t expect such a beauty to be working the front desk. The effect she has on me is intense, and I make her life a living hell because of it. I love her spirit, her internal defiance when completing the most inane task I assign her. My two week stay has turned into unending, just to be near her. 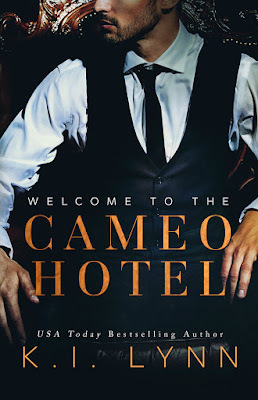 Read my five-starred review of Welcome to the Cameo Hotel. Add Welcome to the Cameo Hotel on Goodreads. Welcome to the Cameo Hotel is currently on sale for only 99 cents!